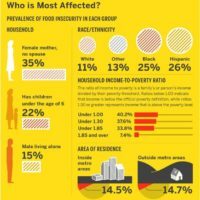 Despite the fact that the Supplemental Nutrition Assistance Network (SNAP, formerly known as food stamps) helped lift 4 million people above the official poverty line in 2012, on November 1, congress cut an estimated $5 billion dollars in funding to the program when its 2009 Recovery Act allocations ended. SNAP helps 47.6 million Americans put food on the table, but with these cuts families of four, for example, are expected to lose $36 a month, decreasing their assistance from $668 to $632 – equivalent to 21 meals a month- according to the Center on Budget and Policy Priorities (CBPP). But this cut has far wider implications for the overall economy, too. 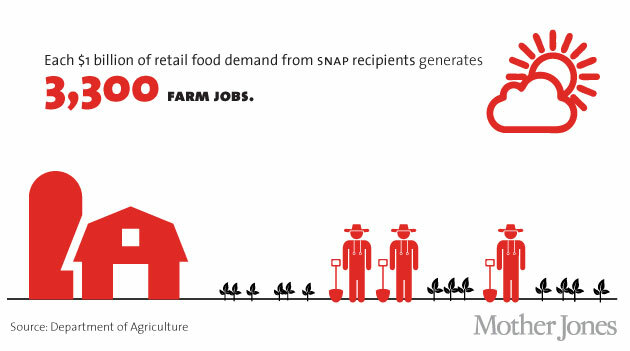 In addition to food security, SNAP spending stimulates local economic activity, which results in more jobs in the farm, production and retails jobs. In fact, it provided $4.3 billion in additional economic stimulus in 2009. Extensive research has been conducted by organizations like Food Research and Action Center, the CBPP and the USDA, which show that effects of the program are far-reaching. Last week, Mother Jones, in partnership with the Food & Environment Reporting Network (FERN), published the infographics below, which highlight how SNAP benefits all Americans, not just the poor. 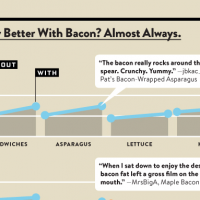 You can read more of Mother Jones’ dive into the hidden benefits of SNAP and view all of the infographics here. 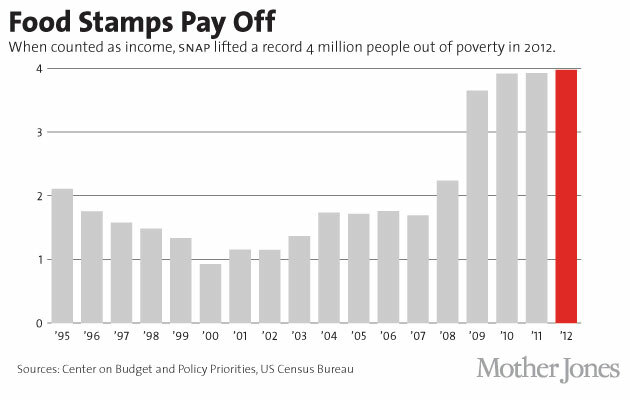 The economic activity generated by every SNAP dollar is nearly double the SNAP dollar. SNAP spending stimulates agricultural production; Every $1 billion in spending generates 3,300 farm jobs. 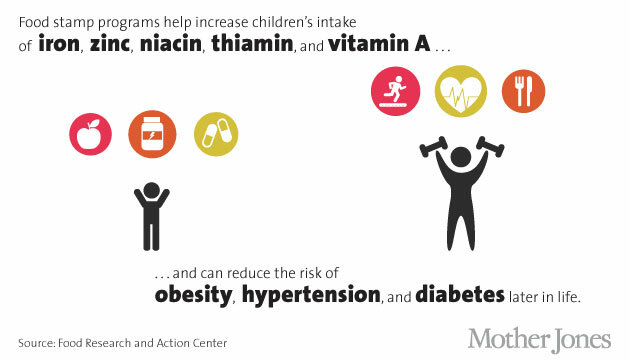 Food stamps help improve childhood health and nutrition, including increased intake of iron, zinc and vitamin A, as well as decreased risk of obesity and diabetes later in life. 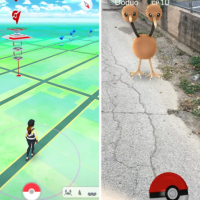 Who benefits from food stamps? Almost 1 in 7 adults received them in 2012. Half of all adults will receive them from the ages of 20-65 and half of all children will receive them during childhood, according to the Food Research Action Center.